Few states display the variety of architecture that can be found in the state of California. 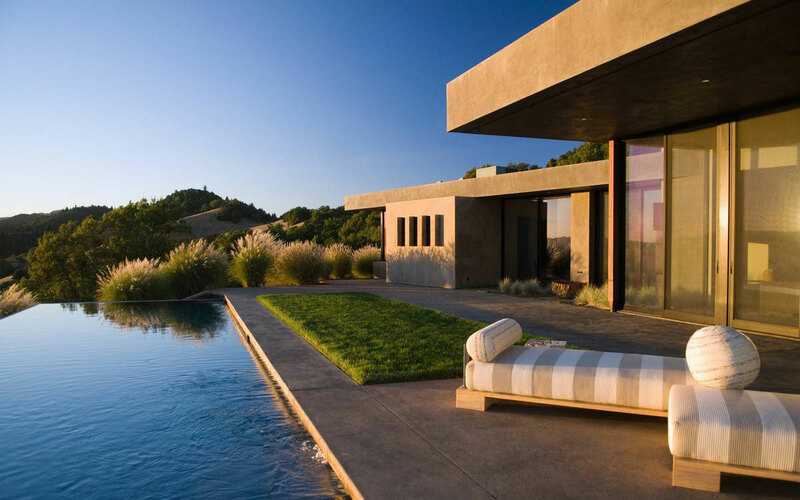 From Spanish villas in the Central Valley, to turn-of-the-century Victorians in the Bay Area, to the sleek and modern mansions of Southern California, it seems that charm and awe-inspiring architecture can be found in all corners of the Golden State. The 10 neighborhoods on this list are some of the most charming in all of California. While some are towns so small they have remained the size of typical neighborhoods, others are historical suburbs that have slowly melted into the nearby city. In either case, each neighborhood on this list consists of a collection of homes and buildings, streets, and parks that appeal to lovers of both architecture and beauty. The areas referred to as Los Angeles and Hollywood are, in fact, a conglomeration of small towns and neighborhoods that vary in style and charm, and Beverly Glen, located on the edge of Bel Air between famous Sunset Boulevard and Mulholland Drive, is one such neighborhood that isn’t lacking in either of those things. Like most neighborhoods in the area, Beverly Glen streets are movie frame perfect, with tall trees providing a shady canopy for pristine landscaped front yards. Though the neighborhood’s biggest planned developments took place in the 1970s and 1980s, the architectural styles associated with the glory days of Old Hollywood are most popular here, and many of the homes include lavish garden areas complete with tennis courts and swimming pools. A list of architecturally charming neighborhoods couldn’t possibly be complete without Beverly Hills, likely the most famous six square miles in America, if not on earth. The area was first made famous in the 1920s by silent film stars Mary Pickford and Douglas Fairbanks, who insisted the neighborhood was a gem despite its considerable distance from all of the major Hollywood studios. Today, most of the homes existing from Beverly Hills’ earliest days reflect a classic “Old Hollywood” style, though the neighborhood’s most famous residences are perhaps just as quirky as many of those who call Beverly Hills home. 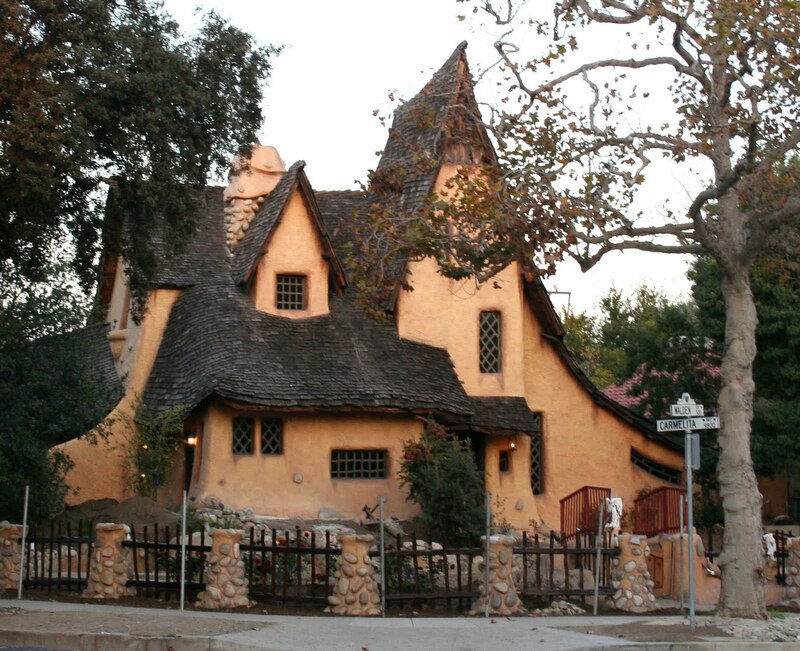 The Spadena House (better known as The Witch’s House) has appeared in movies and countless Halloween photos, while the fun O’Neill House is an Art Nouveau classic characterized by its curving walls and extravagant details. Beverly Hills is even a prime example of landscape architecture. Each of the carefully planned residential streets is lined with a different type of tree, and curved to ensure that the beautiful foliage is always in view. Perched atop a hill overlooking the Newport Harbor, Crystal Cove is easily one of the most sought-after neighborhoods in the country. Chock-full of Southern California charm, the neighborhood began in the early 1900s as a collection of luxurious beach cottages and bungalows. 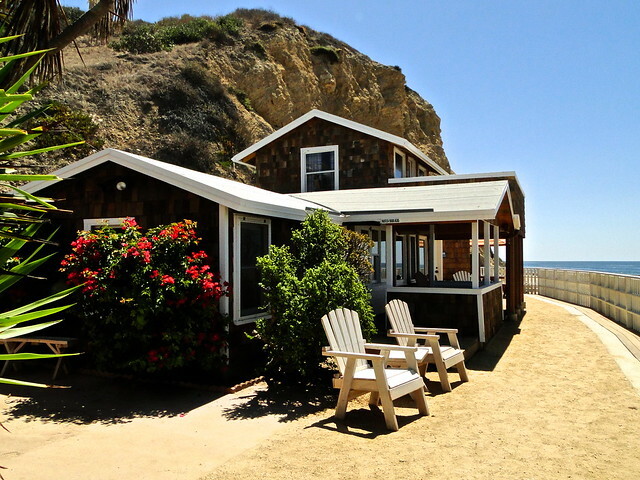 The 48 cottages, nearly all of which were originally owned by Hollywood movie directors and producers, were hugely influential in solidifying our modern idea of a charming beach house, and the entire collection of cottages now appears on the National Register of Historic Places. Further up the hill — farther from the beach but with stunning views — are the modern mansions most associated with today’s Crystal Cove. Marble staircases, wraparound drives, and infinity pools are the norm here, and snatching one will set you back at least $4 million. Arguably the most exclusive and affluent neighborhood in the entire greater Los Angeles area, Hancock Park is also one of the most architecturally charming. One must be royalty — Hollywood or otherwise — to live in this sparsely populated area, where English country estates, French chateaus, and Mediterranean mansions exist peacefully on a single block. The neighborhood, which also includes a small downtown area with world-class restaurants and shopping, was established by G. Allan Hancock on the grounds surrounding a private golf club. Most of the incredible mansions went up in the 1920s and were designed by such architectural legends as A.C. Chisholm, John Austin. and Paul Williams, the latter of whom was the personal architect of Frank Sinatra, Lon Chaney, and Lucille Ball. A stroll through Sacramento’s Land Park neighborhood is kind of like taking a stroll through a fairy tale, thanks to the area’s characteristic architectural charm. Most of the homes were built between 1930 and 1950 in a variety of styles that include English cottages, Tudors, Mediterranean villas, and Craftsman bungalows. The tree-lined streets nearly all lead to William Land Park, the 166-acre space where this tight-knit community enjoys everything from leisurely strolls to play dates. Appropriately, a small children’s theme park called Fairytale Town is also nearby (along with a golf course and the Sacramento Zoo). As its name implies, Lovall Valley Road is less of a neighborhood and more of a stretch of land, but it remains one of the most desirable addresses in California Wine Country. Plus, it’s the birthplace of the “ranchette,” so it’s even kind of historically significant when it comes to residential architecture. Indeed, a drive along Lovall Valley Road will yield plenty of ranchettes (defined as an estate on at least two acres), and most ranchettes here come complete with barns, horses, and even swimming pools. The higher a home’s location on the hill, the more spectacular (and expensive) it is, with those at the top being the 10,000 square-foot mansions that tend to appear in magazines dedicated to luxury architecture and interior design. Pacific Heights, the setting for “Full House” and one of the most desirable neighborhoods in San Francisco, is especially famous as the home of the “Painted Ladies,” a collection of Victorian wood homes painted in at least three different colors. Historically significant as one of the few areas preserved from before the famous 1906 earthquake, “Pac Heights” draws so many architecture aficionados each year that a number of architecture-themed walking tours can be found throughout the neighborhood. Besides the beautiful Painted Ladies, the hills of Pacific Heights afford visitors stunning views of the San Francisco skyline, the Golden Gate Bridge, Alcatraz, and the Bay. Nestled in Anaheim, in Orange County, The Colony is a charming historical neighborhood that is so quiet one would never guess that it’s a short drive to three major freeways, the Honda Center, Angels Stadium, and even Disneyland. Founded in 1857 by German winemakers, the neighborhood is characterized by its variety of architectural styles that include Victorian, Spanish, Dutch colonial, and Tudor revival. Thanks to the amazing care that The Colony’s residents have put into their historic homes, the neighborhood’s collection of beautiful houses and residential streets has been designated a historical zone. Indeed, The Colony neighborhood was actually Anaheim’s first, and remains its largest, historical district. Of the many charming little beach towns on the Southern California coast, Manhattan Beach is easily one of the most exclusive. Those lucky enough to have a Manhattan Beach address essentially have two aptly named neighborhoods to choose from: The Sand Section and The Hill Section. While it may be slightly further from the shoreline, The Hill Section is arguably the more charming neighborhood, though most of its original beach houses have been razed for newer, bigger, and more modern homes. While some of these homes still display the more traditional beach house characteristics, the majority are sleek, tall, and airy, with plenty of windows to let in the warm California sunshine while affording stunning views of the sparkling Pacific. The Hill Section’s homes are popular among professional athletes, and buying one can set you back well over a million. Located just south of downtown San Jose, the charming, tree-lined neighborhood of Willow Glen is practically picture perfect. Residents here have clearly shied away from anything risking the feel cookie cutter or packaged. No Victorian, Spanish villa, Craftsman bungalow, or English storybook cottage is like another. The tight-knit neighborhood, a favorite amongt families and young couples, even enjoys its own downtown area where coffee shops, boutiques, and cafes are all housed in buildings as charming as their surroundings.